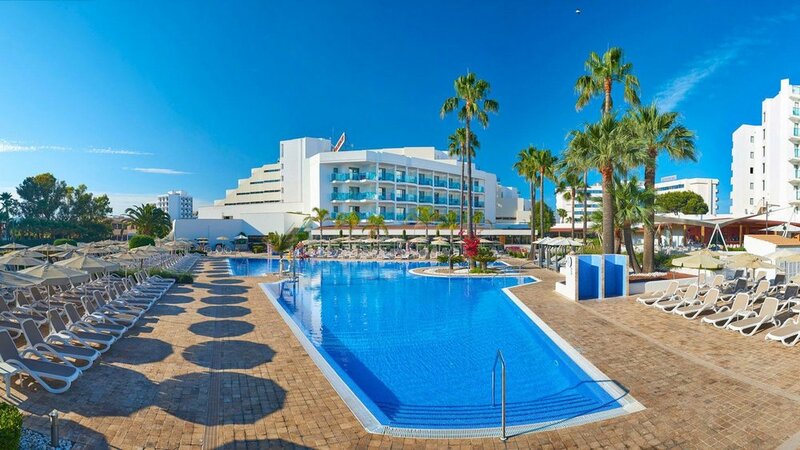 We thoroughly recommend the Hipotels Cala Millor Park because it offers accommodation on an All Inclusive basis, and is within easy travelling distance of Canyamel, Capdepera, Pula & Son Servera golf courses. Our golfers enjoy staying at this hotel, not only because of its excellent location, but also because it's one of the few hotels in Cala Millor that offers accommodation on an 'All Inclusive' basis. The Mediterranean style buffet is plentiful, and the food so tasty that you'll be wanting second helpings! The hotel is set across three buildings, and as well as a large pool there is also a spa and wellness centre with a gym. 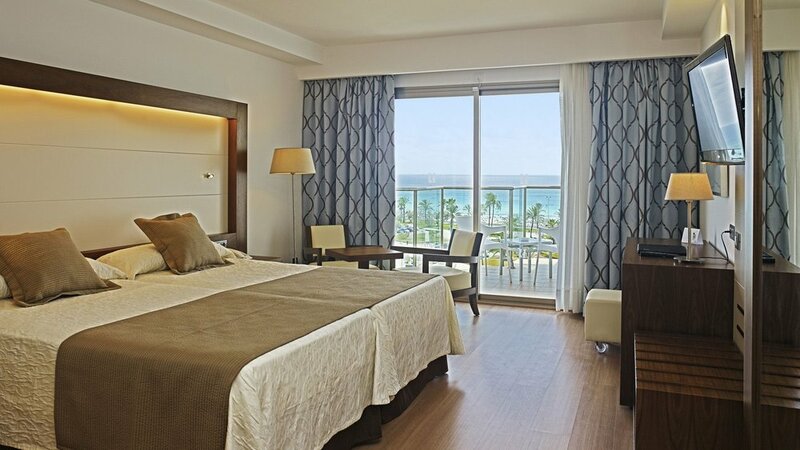 The rooms at the Hipotels Cala Millor Park are kept spotlessly clean have a balcony, air conditioning, satellite TV and a private bathroom. If you've chosen the Bed & Breakfast option, then in season, there are plenty of bars and restaurants to choose from within a few hundred metres of the hotel. Pula, Son Servera, Capdepera & Canyamel golf courses are within a 25 minute drive of this hotel, and if you've chosen to drive there are usually plenty of parking spaces available close to the hotel. If you decide you'd like some beach-time, then it's just 200m away. If you're looking for accommodation on an 'All Inclusive' basis in Cala Millor, then this hotel ticks all of the boxes. We wouldn't consider looking for other hotels, as the rates here are very good too. If you'd be happy to stay on a 'Bed & Breakfast' basis, then other hotels offer this option. The decision would be whether this excellent hotel meets all of your needs, or if any of the others in this resort would be a slightly better match.